But CVSL has not repaid any principal or interest, according to the lawsuit, which was filed in August in Franklin County Common Pleas Court. After the original filing, CVSL requested more time to answer the complaint, and now faces an Oct. 12 deadline to do so. CVSL denied the allegations in a statement today. “Her lawsuit is completely without merit, and we are responding through the legal process,” said spokesman Russell Mack. The Longaberger Co. along with its former CEO are facing a suit filed in September by Columbus-based production company Mills James Productions. Mills James alleges that after providing services at the annual Longaberger Bee in August 2014, the company owes $61,956. Newark-based Longaberger Co. has struggled since the death in 1999 of company founder Dave Longaberger. A combination of bad economic times and changing tastes in home decor sent sales from a peak of $1 billion in 2000 to about $100 million last year. Several rounds of layoffs have occurred during the past decade, leaving the company much smaller. 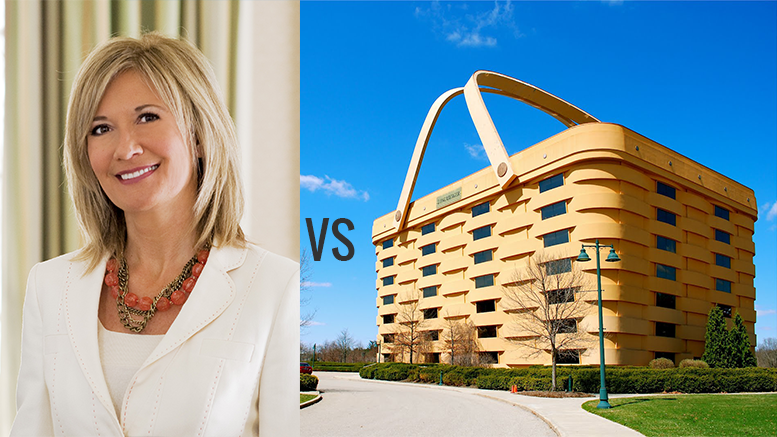 In 2013, CVSL bought a 51.7 percent stake in Longaberger Co., the first of a string of acquisitions in direct sales companies. But Dallas-based CVSL’s relations with Longaberger soured soon after. In her resignation letter earlier this year, Longaberger explained her decision by citing several actions taken by CVSL. Be the first to comment on "Former CEO Tami Longaberger sues former company"